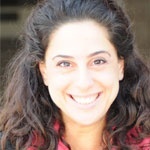 Teresa Chahine is the social entrepreneurship program leader at the Center for Health and the Global Environment, Harvard T.H. Chan School of Public Health. She is the author of ‘Introduction to Social Entrepreneurship’, a 12-step guide to building impact in new and existing organizations. Chahine is the innovation advisor for Alfanar Venture Philanthropy, transforming social enterprises in the Arab countries through tailored financing and technical support. She can be reached on teresa [at] alfanar [dot] org [dot] uk.